My new reading glasses finally arrived this week. I’m still getting used to them; my old pair broke several months ago so I’ve been leaning my head way back while wearing my progressives for some time now. It’s still a bit odd to be reading with my held held upright. If you don’t know what I mean you’re probably under 50. One day you’ll understand. If you’re lucky. So, I finally finished The Pope’s Daughter by Dario Fo the Noble Prize winning Italian playwright. It’s an odd book, a history of Lucrezia Borgia and the Borgia family. What made it odd reading for me was the way the dialogue, and most of the book, was written. It felt like a grown person trying to write like a child trying to write like a grown-up–a bit artificial, overly simplified dialogue and narration, a little stilted. This is Dario Fo’s only novel but he is enough of a writer to know what he is doing. I’m just not sure what he is doing, to be honest. Still, I mostly liked it. Currently I’m reading several books at once. 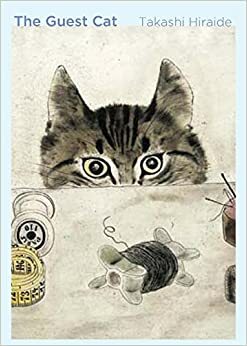 The Guest Cat by Takashi Hiraide is about a married couple and the cat who wonders into their lives from the apartment next door. It’s a very short book from my “books you can read in a day” pile, but I’m several days into it now. Lightless by C.A. Higgins is the first is a trilogy of science fiction novels. I’ve just started it. So far there are three people in a spaceship that has been boarded by a pair of thieves. It’s just for fun. I’m not expecting anything too serious. I’m slowing working my way through The Arrival a collection of short stories by Ted Chaing and the Dao de Jing one of the foundational texts of Daoism by Laozi. It’s my second time through the Dao de Jing in a row. I read the Penguin edition earlier this year, really enjoyed it, but felt that I could use another go to better understand it all. So I bought a second translation and have been reading/tweeting it each morning for a couple of months now. It’s a bit like the daily bible meditation/readings my mother used to do using Guidepost magazine back in the 1970’s and 1980’s. It think that was the name of the magazine. I’m enjoying it. Breaking what can be a very difficult text down into tweetable bits has been a good way to get into the text. I definitely have a better understanding of the Dao. As for my Twitter followers….well…I haven’t lost any so far. I bought a copy of Hannah Arendt’s The Origins of Totalitarianism shortly after the new President arrived in Washington. While I am still reading it, I’m not exactly devoted to completing the task any time soon. I think Arendt is very good, provocative and insightful, but she can be challenging reading. If you’ve never read her and want to see what the fuss is about, Eichmann in Jerusalem is a much better place to start. But summer hasn’t been all fun and games so far. 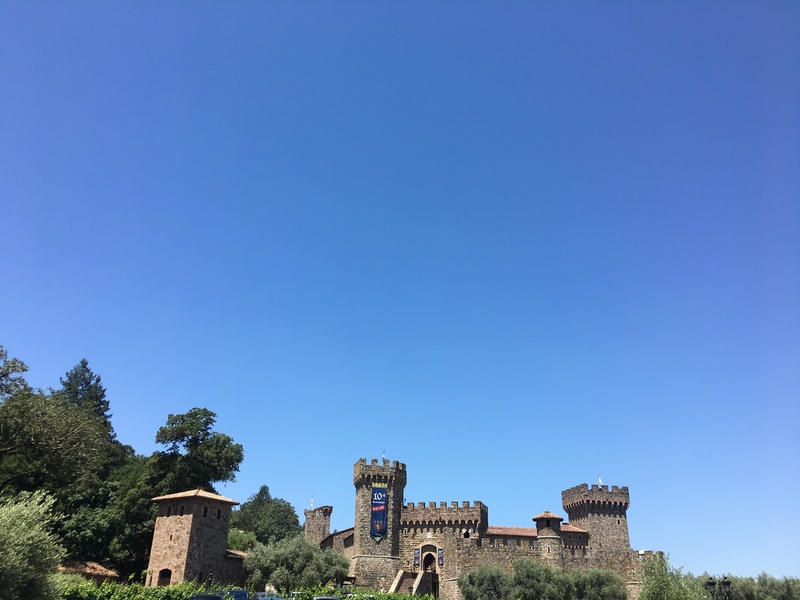 We did go wine tasting this week, at the Castello di Amorosa winery up in Napa County. The winery is built like a Medieval European castle complete with banquet hall, chapel, armory, dungeon and several towers. It’s set back in the hills so you can’t see it from the road and you can’t see the road from the castle. C.J. calls this sort of winery “adult Disneyland” which is a good description. We did the wine and chocolate pairing which meant we got to use the upstairs reserve tasting room. This was our first wine and chocolate pairing–we’re sold on them now. We used up just over half of the gift card we had. C.J. wanted to save the rest to go back and do the wine and cheese pairing so we didn’t buy any wine. The wine is not that good, it turns out. It’s really about the castle. If you go stop at The Model Bakery in St. Helena on the way. Delicious sandwiches and a wide range of excellent bread and other baked goods to try. We bought a loaf of English muffin bread. Delicious. That’s all the news, not really news I guess. We’re off to Brooklyn for 20 days on Wednesday. I’ve decided to reduce on-line time during this trip to a minimum. Just Instagram, maybe email and the Theatre Development Fund’s website for show tickets. I may set up some robo-posts before I go; at least two for the Jane Austen Read All A-long which starts July 1 with Sense and Sensibility. I’m probably going to start reading it early on the long plane ride to New York. If you’d like to join in on the Jane Austen Read All A-long you can read more about it and sign up here. We’re a small but plucky band of actual and wanna-be Janites. I also first had wine and chocolate pairings in Napa, and what a great combo! :–). I did not read Dario Fo, but I have read two books by Sarah Dunant on the Borgias. Nevertheless, Fo’s cover beats any of hers – it’s beautiful. But it sounds like her writing is probably better. Have to give the good people at Europe Editions credit for the cover. Fo’s book is translated from the Italian, and I’m really not sure what he’s trying to do, so I can’t judge the writing at all. I’ve not read Sarah Dunant, alas. I thoroughly enjoyed this newsy post. The cover of The Guest Cat is priceless! Lots of time in Brooklyn–that will be fascinating. I can just imagine the food possibilities and the rare and used bookstores! I’m in with you for Mansfield Park in September. This is the Austen novel I had on my docket for 2017. I’d love to join in on rereading the rest with you, but I have this Russian Revolution thing going on in my head. Next Next post: Seen the the San Francisco Airport history of the typewriter exhibit…a typewriter once owned by Tennessee Williams.